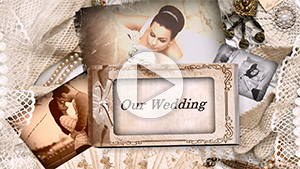 The "Happy Together" template pack for SmartSHOW 3D featured in this video lets you create a romantic movie from your love story photos. It's perfect for making a sweet Valentine's Day slideshow, a love confession video, or even a marriage proposal in digital form! If you want to touch your loved one's heart with a truly personal and creative love message, this template is just what you need. It lets you collect your photo memories in a beautiful slideshow. Video backgrounds with warm and cozy decor like lanterns and candles create a romantic mood, with the focus remaining on your photos. To make your own "Happy Together" video, select your best couple photos and a romantic soundtrack, and add them to the slideshow template. If you're short for time preparing for an event, you can upload a whole folder at once and make a slideshow in 5 minutes. Otherwise, feel free to work with animated collages one by one, experiment with transition effects, and even add voice comments to the slides. Export your creation to HD video, ready to share online or play on TV in the comfort of your home. Choose the best way to send your video message and be sure it will impress your significant other!